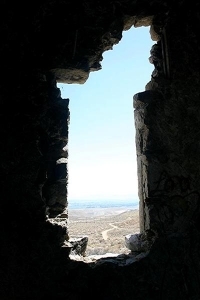 The desert is silent beyond the ruins of Bluestone, Nevada. 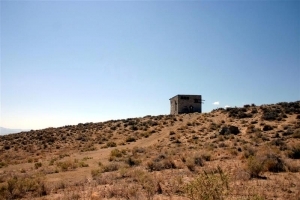 The power plant stands as the last remaining symbol of the once thriving mining town of Bluestone, Nevada. 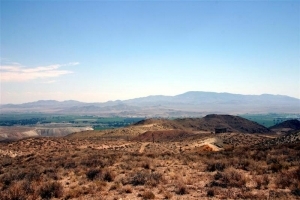 The green of Mason Valley, Nevada, contrasts the harsh brown of the surrounding desert. 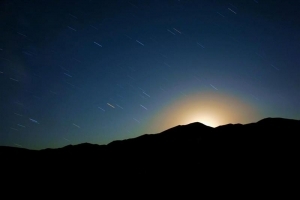 The stars streak across the midnight sky over the Senates Mountains near Weed Heights, Nevada. 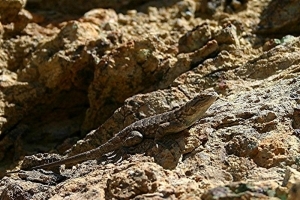 Bluestone, Nevada, resident seeks a cool spot in the July afternoon. 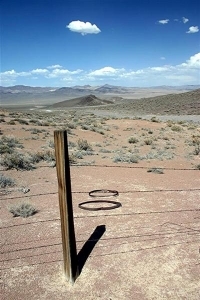 Fence posts and barrel rings are all that remain of the once bustling boomtown of Rawhide, Nevada. 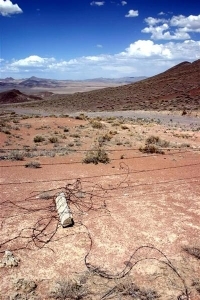 The desert near Rawhide, Nevada, is littered with the reminders of its once bustling past. 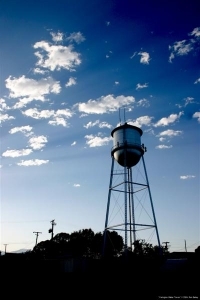 The Yerington water tower stands tall against the early monring sky.